Ultramarathoners are famous for putting their skills to severe test, and a great way to do exactly this is with Stan James promotion, meant for all sports lovers who want to test their knowledge of sports and boost not only their speed and stamina, but also their budget. 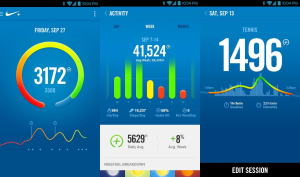 Also, there is plenty of apps for Android and iOS devices that will help you boost your training by tracking your workouts, nutrition and safety. 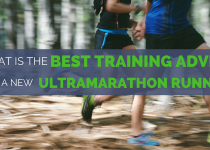 When preparing for an ultramarathon, equip your phone with one of the apps from our list, and you’ll be one step closer to success! An all-time favourite among runners, since its debut in 2008, Runkeeper uses your phone’s GPS to track your pace, calories burned, distance, total exercise time, and provides other useful statistics. The app has continuously developed year after year. 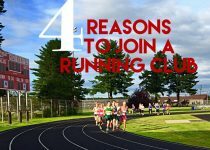 It comes with a great variety of training plans created by real running coaches, as well as reminders and challenges to keep you motivated. Besides being a first-class running tracker, Strava Running and Cycling adds some innovative features to the mix. It is especially good for those runners who thrive on competition, because it challenges you to race against other people who’ve run your routes. The app is very accurate at recording your distance, time, running speed and course taken to produce useful metrics, but also to create leaderboards and generate achievements. If you run fast enough, your name will appear at the top! MapMyRun, part of the MapMyFitness family of apps, uses your phone’s GPS to track and map your running course, time, speed and total distance travelled. It is a very decent app, displaying both your real-time and your end-of-run stats. Additional features include nutrition tracking, and support for various heart rate sensors and fitness trackers. With a premium subscription, you get access to audio coaching and location sharing. The only downside is that it is a bit pricy. Like most other running apps, Runtastic uses GPS to track and map your training, plotting your route in real time and monitoring distance, time and speed. The layout is neat and easy to use, and you can keep track of your running history in your personal exercise diary. At the end of your running session the app will give you average speed, average pace maximum speed and average steps. If you want to delve deeper in your stats, there are also detailed graphs of your exercise information. On top of all that you will get plenty of great training plans! This app is specifically designed to help you find running routes wherever you are. Voice navigation can guide you through unfamiliar areas, and you can also download routes for offline use, or create your own. Premium subscription gives you access to “guided tours” — verified routes created by local runners, with the app informing you about points of interest you are passing by. Discovering and navigating great new jogging routes has never been easier!